October is the month when those scientists who aspire to the ultimate recognition are waiting for a telephone call from Stockholm. Early last week that life-changing call came for James Rothman, Randy Schekman and Thomas Südhof who shared the Nobel Prize in Medicine “for their discoveries of machinery regulating vesicle traffic, a major transport system in our cells.” They had uncovered the mystery of how small packages called vesicles are delivered to the right place at the right time in the cell. Albert Schatz (L) and Selman Waksman. Copyright Rutgers University. Whenever there are winners, there will inevitably be losers. The Nobel Prize is no different and there are undoubtedly scientists who consider themselves unfortunate not to have received the call last week. Consider the case of Albert Schatz, a young PhD student who on 23 August 1943 was searching for an antibiotic to treat tuberculosis (TB). 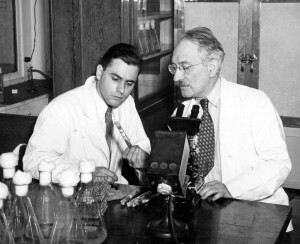 Working in the laboratory of Professor Selman Waksman at Rutgers University, testing a common bacterium found in farmyard soil, Schatz discovered streptomycin. This drug subsequently became the first effective treatment for TB, an infectious disease that had killed millions. Scandalously, Waksman took the credit for this discovery, downplaying Schatz’s contribution, and then secretly enriched himself on the patent that was licensed to Merck. But worse was to come. In 1952 the Nobel Prize in Medicine was awarded to Waksman for the discovery of streptomycin, with Schatz considered a “mere lab assistant” working under an eminent scientist. 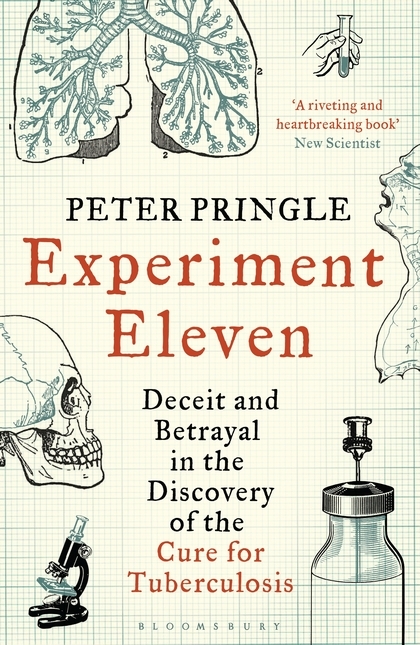 Fortunately for Albert Schatz, a book entitled Experiment Eleven by Peter Pringle has just been published, setting the record straight. In medical imaging, three Nobel Prizes have been awarded: for X-rays, computer-assisted tomography (CAT) and magnetic resonance imaging (MRI). While there’s no doubt Wilhelm Röntgen was a worthy winner in 1901, the awards for the CAT-scanner and MRI were not without controversy. The rules of the Nobel Prize dictate that up to three people may share the award. In 1979, the neurologist William Oldendorf was bitterly disappointed that he did not join Allan Cormack and Godfrey Hounsfield on the podium in Stockholm for his contribution to the CAT-scanner. 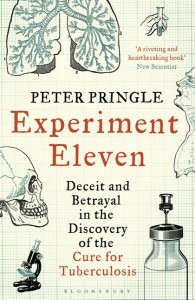 In 2003, Raymond Damadian was incensed when he was excluded and the award for MRI went to two basic scientists, Paul Lauterbur and Peter Mansfield. He placed a full-page advertisement in the New York Times, addressed to his fellow medical doctors, “I want you to know something, the MRI is emphatically an MD’s invention.” The committee’s decision, however, was final.